Court Diversion is a voluntary pre-trial procedure that may allow persons accused of minor criminal offences to be directed away from the criminal justice system. Services include consultation, support and education to accused persons and their families, service providers and to justice system personnel; referrals to other community resources and coordination of support; and a range of recovery-focused case management services. Individuals (16 years old or older), residents of Simcoe County, with a mental health problem or mental disorder who become involved with the criminal justice system. Young individuals, 12 to 17 years old, who have become involved with the criminal justice system and are attending Court in Barrie or Orillia, and 16 and 17 years of age in Midland and Collingwood. Release/discharge planning for individuals in custody who are inmates at Central North Correctional Centre (CNCC) Penetanguishene, to promote successful community reintegration. Direct, in-person support for individuals out of custody residing in North Simcoe Muskoka who may be at risk of involvement in the criminal justice system. How to Apply: Hours of operation are Monday to Friday from 9 to 5. Anyone can make a referral including self-referral. To make a referral or learn more about the program call (705) 733-2113. This program supports adults from the Waypoint Center for Mental Health Care Regional Forensics Unit, who currently have an Order under Ontario Review Board. The program is dedicated to supporting these individuals to safely re-integrate into the community. Shelter Now, Waypoint, CMHA and Peer Support staff work collaboratively in this joint program. Referrals to TRHP program can only be made by the Director of Waypoint Center for Mental Health Care, Regional Forensics Unit. For more information, call (705) 528-1206. 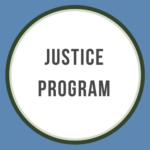 The target population for this program consists of forensic patients graduating from Transitional Rehabilitation Housing Programs (TRHP) that require the additional support provided by the FSHP. To be eligible, clients must be under an Ontario Review Board (ORB) disposition that allows for community placement at the discretion of the hospital in charge. TRHP graduates are a priority for this program. Forensic patients moving directly from forensic inpatient status to community living, who need a level of support that is more intense than the usual supportive housing, but do not need TRHP. For more information, call (705) 528-1206.